In my previous post relating to the controversy surrounding the NIH study, I wrote that disagreements were only to be expected. I still stick by those words, yet I – like many – have looked on in some distress since then as angry reactions have escalated to a potentially catastrophic extent, threatening a very serious setback in our battle to expose the PACE trial and win recognition for the true nature of ME. I myself do not believe that anything any patient has said about the NIH study has been more outrageous than the NIH’s own decision to appoint Dr Walitt as study director. When you put this in the context of the promises made about the study after all the years of neglect and betrayal it is scarcely surprising that some patients have got very angry or that bitter disputes have arisen about how best to respond. But we must not lose sight of what we hope to achieve. 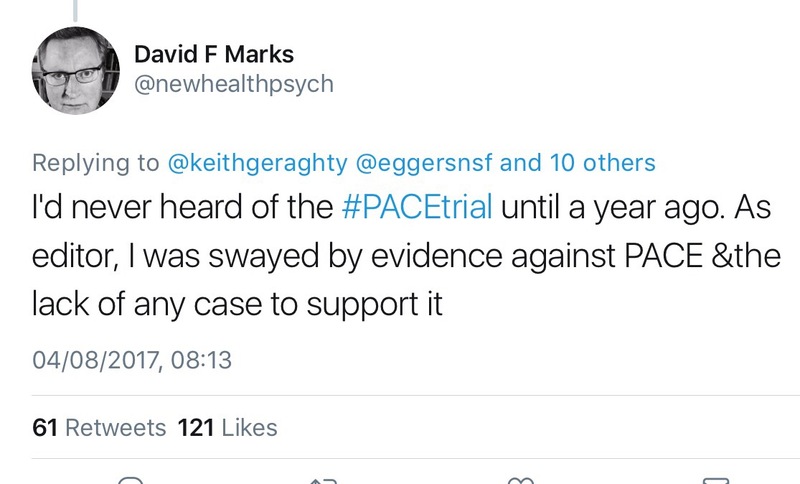 David Tuller and Professor James Coyne have built on years of painstaking work by patients to put us in reach of finally exposing the slick tricks of the PACE trial. It will be tragic if we lose that chance because of a few angry exchanges in the heat of battle. I think we need to accept that Professor Coyne is the way he is. He fights hard and says what he thinks in no uncertain terms. That’s what makes him such a fearsome opponent for those who are ranged against us. But if we ask a lion to fight for us, we can’t be surprised if he roars in our direction from time to time. If that weren’t his essential nature, he wouldn’t have taken on this battle of ours which nobody else would touch. He has been willing to stand up for truth on our behalf. We need his support and he deserves ours in turn.